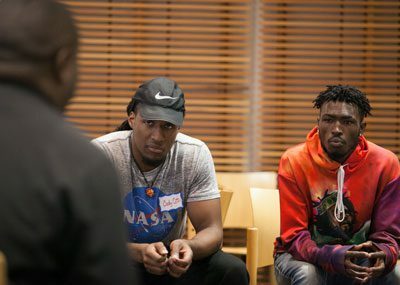 As an 18-month grant-funded initiative to empower youth for college and career builds to a finish at the Main Library, those involved are calling it a “community catalyst” for the way it’s sparking opportunities, strengthening relationships, and energizing young people, families, and those who work with young people. “To catalyze something means you can walk away, and it keeps going,” said Frances Kraft, co-founder of the Equity Team (E-Team). In October 2017, what started as a grassroots effort grew into a formal, nationally funded collaboration among Triton College, the library, and the E-Team, with a $150,000 grant from the Institute of Museum and Library Services (IMLS). At its core, the IMLS–Triton College Activating Community Opportunities initiative provides after-school tutoring, mentorship for young people planning to enter college and the workforce, and support for families as they navigate community resources and school systems. It’s also attracted people who have energized youth programming throughout the library, said Social Services Specialist Stephen Jackson. Cody Cotton (left) joined the library as an AmeriCorps member in January. He supports youth programs such as the new Leaders in Training, co-led by Oak Park and River Forest High School senior Zaire Brooks (right). Youth mentors who are part of the initiative’s Emerging Leaders Network include community members, AmeriCorps members, and college students from TRIUMPH and SURGE, mentoring organizations for students of color at Triton College. As one result of the initiative, AmeriCorps member Cody Cotton, also the co-founder of A Greater Good Foundation, now supports new and existing youth programming at the library, including Jackson’s weekly Leading Edge program. Jackson said this extra support gives him more time to build relationships with organizations he refers people to, as part of his social services outreach work—for example, the E-Team, which has grown a grassroots Family Resource Network of nearly 300 families who advocate for one another as they navigate the community and school systems. 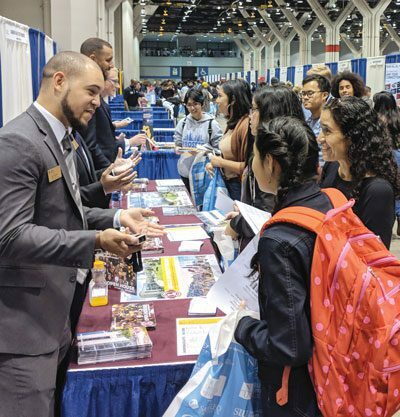 Students and their mentors visited the National Association for College Admission Counseling college fair at Chicago’s McCormick Place in September. Students also attended the 100 Black Men of Chicago College Scholarship Fair at the University of Illinois at Chicago in October. Kara Lester, Triton College project manager for the grant, celebrates the meaningful community connections created through the initiative—and powerful individual transformations. In October, while visiting a college fair at the University of Illinois at Chicago with a group of students and mentors, Lester witnessed one student become overwhelmed as the reality of college settled in. Thankfully, her mentor was there to guide her through it. Although the 18-month grant period ends in March, the community partners are looking forward to what comes next. In February, representatives from Triton College, the library, and the E-Team will go to Washington, DC to share insights and discuss asset-based community development with other IMLS grant recipients from around the country. 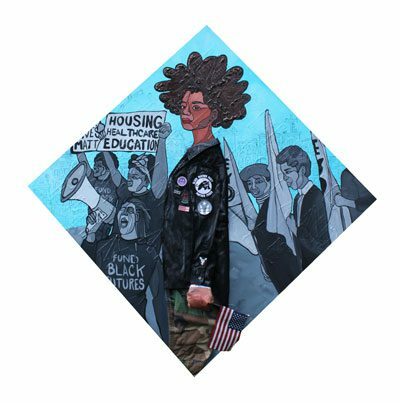 On March 16, the initiative brings its energy to the Educate to Liberate: Youth Social Justice Conference. Along with community builders and expert speakers, young people will be talking about issues that matter to them and learning with their peers through group panel discussions and engaging activities at the Main Library. As the grant partners look ahead to where new learning and relationships might take them, the E-Team’s Kraft said her team is eager to continue their work in partnership with the library. The Emerging Leaders Network, a component of IMLS–Triton College Activating Community Opportunities, was made possible in part by the Institute of Museum and Library Services.